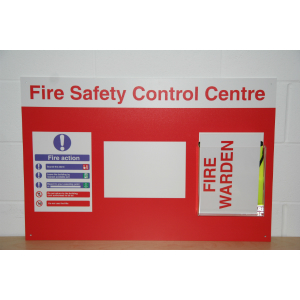 Fire Wardens, Fire Officers, Fire Marshals, and First Aiders are trained to take control, and to ensure that fire and emergency evacuation procedures are communicated and followed by others. 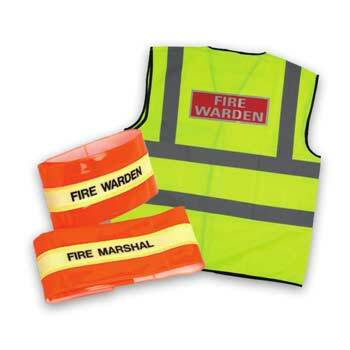 These Arm Bands and Waistcoats incorporate Jalite photoluminescent strips of material so that the Fire Warden and other key personnel remain very conspicuous in low light levels or complete darkness! The Fire Warden is likely to be last out of a building during an emergency evacuation, so photoluminescence could be a life saving feature if the Fire Warden needs to be rescued by the Fire Service. Portable Assembly Point signs held by the Fire Warden help identify the gathering place for a company, department or section. A simple portable Loud Hailer can help the Fire Warden to communicate effectively over the background noise of an evacuation. 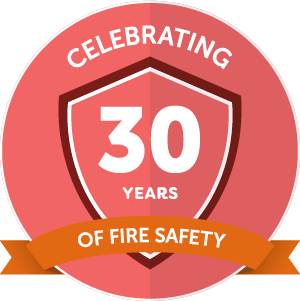 If your Fire Wardens need training, please see our Fire Warden Training Here.